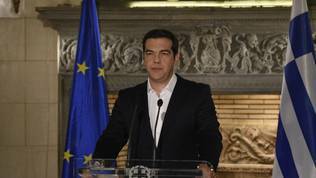 The referendum in Greece ended with an expected result – NO. Although it is yet to be seen what the implications of this vote will be to Greece itself and to the future of the Eurozone, it is important not to miss a very important effect of the “GReferendum” as it became popular on Twitter. As euinside forecasted, apart from the economic hardships, populist parties are going to be a big challenge to the EU and the Eurozone in particular for in their nature they are not democratic. The fact that most Greeks preferred to vote OXI is by far not as shocking as the one that leaders of political parties and even entire nations, together with influential economists commended the referendum as a “celebration of democracy”. 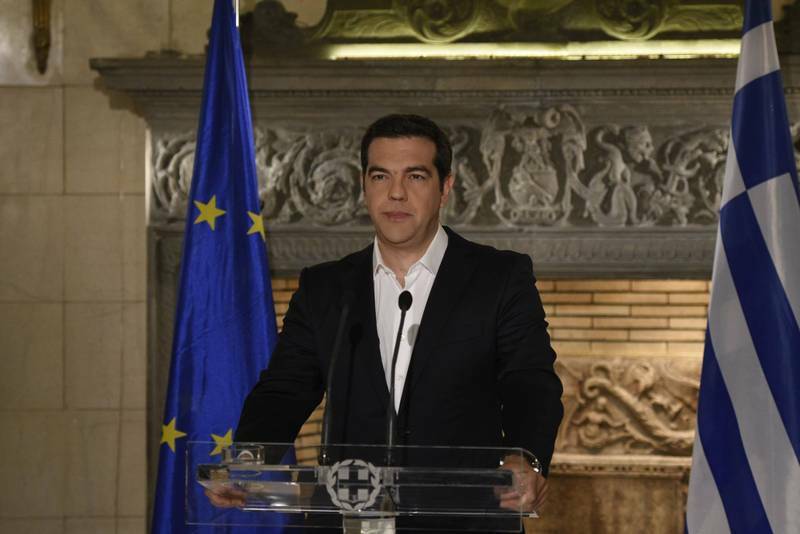 Alexis Tsipras, Prime Minister of Greece: “Today we celebrate the victory of democracy”. Cristina Kirchner, president of Argentina: “Outright victory of Democracy and Dignity”. Jeffrey Sachs, economist, USA: “A glorious day for democracy in Greece”. United Kingdom Independence Party (UKIP): “'No' vote in Greece is a vote for true recognition of democracy at its finest”. Marine Le Pen, leader of National Front, France: “What a nice great lesson in democracy is the Greek NO”. PODEMOS, Spanish populist party: “Victory for democracy”. All these statements are extremely scary and dangerous, for they show praise of the total trampling of democratic standards that have been built up for decades. They also show the mixing of two completely different subjects – the peoples’ right to self-determination and the violation of democratic standards. What is wrong? The referendum in Greece was called just a week before it was held. According to the Secretary General of the Council of Europe Thorbjørn Jagland, international standards recommend referendums are called at least two weeks prior, so enough time is allocated to discussions, a clear question is asked and international observers are present. With the exception of the international observers nothing was to international standard. In 2007, the Venice Commission of the Council of Europe published a Code of good practice on referendums, adopted at its 70th plenary session (Venice, 16-17 March 2007). The Code thoroughly describes all good practices for holding plebiscites. Among them is equality of opportunity. This means equal opportunity must be provided to the supporters and opponents of the proposal put to vote. This entails a neutral attitude by administrative authorities, in particular with regard to the campaign. It is explicitly said that these authorities must observe their duty of neutrality which is one of the means of ensuring that voters can form an opinion freely. Nothing of the kind happened in Greece. At the point of announcing the vote, Prime Minister Alexis Tsipras and his Finance Minister Yanis Varoufakis urged the people to vote “NO”. This is one of the most flagrant violations of all contemporary democratic standards. Although the Code of the Council of Europe allows for authorities not to be totally passive it recommends that national, regional or local public authorities (depending on the poll) must not influence the outcome of the vote by “excessive, one-sided campaigning”. The second very important rule that was totally broken in Greece is that the question put to the referendum must be clear; it must not be misleading; it must not suggest an answer. You could say the question was clear, for it asked voters if they agree to accept the adjustment program, submitted by the Troika, European institutions, and the IMF. The problem is this was a misleading question for the term of the program expired on midnight of June 30, making the question completely invalid. 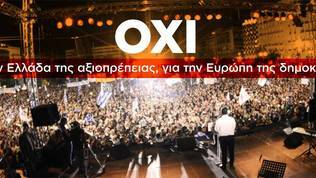 Moreover, the program itself was translated into Greek, and not a very good translation at that, as late as Wednesday, just five days before the vote. “The authorities must provide objective information” continues the Code. Alas, objective information was among the things of highest deficit after the missing cash and essential household goods in Greece. The third violation is connected to the recommendation that the right to vote is accorded to citizens residing abroad that was also limited. Moreover, many Greeks were barred from voting at their place of r egistration by inability to travel to it due to the limit of 60 Euro per day cash withdrawals from ATMs, and uncertainty. This is the reason for a relatively low voting activity by Greek standards. 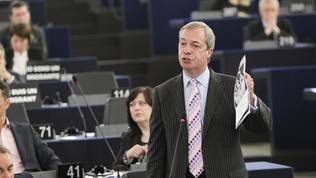 The fact that political parties with representatives not only in national parliaments but in the European Parliament as well, like the party of Nigel Farage in Great Britain and Marine Le Pen in France are supporting this totally unacceptable violation of common standards on conducting referendums and democratic standards as a whole should be scaring everybody, most of all their supporters. For this means if they vote them into power they will (democratically) support by their vote the coming to power of undemocratic regimes, which in the name of their own partisan interests are prepared to violate rules, created as the result of the painful and traumatic evolution of societies. And what do we do with the democratic deficits? Many voices in the cacophony around the GReferendum accused European leaders of influencing the vote by their statements. Although it may not be strictly in accordance with the commonly accepted standards such behaviour was the only good move in a situation where the future of a 19-member organisation sharing a common currency depends upon a national referendum. 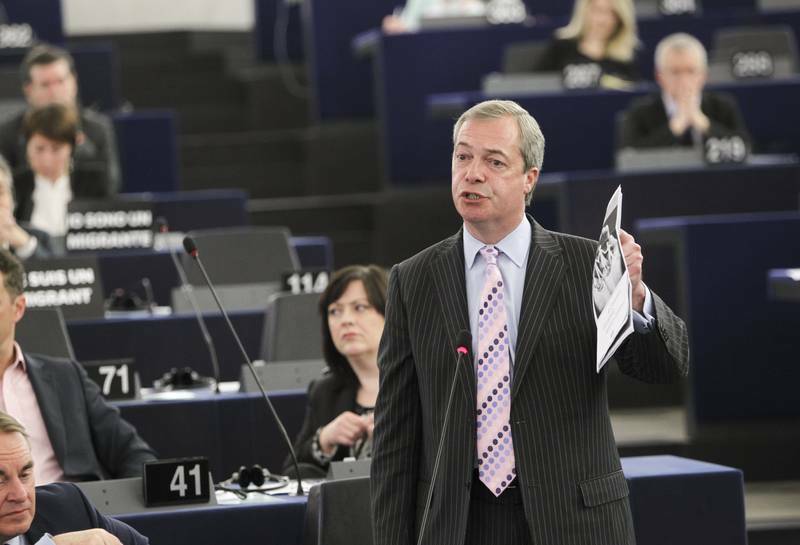 European democracy is by no means perfect, for it is a combination of the democracies of its members. This only shows the direction to be working in is democratic convergence, something that was set in the negotiations process but at quite a late stage. Greece was accepted in the EU in 1981 with the “lowered” standards. Alas, even the ones accepted with slightly stricter standards, like Hungary, show appetite for authoritarianism. In that sense, it might be a good idea to add another one to the European Semester’s indicators like budget deficit and current account deficit – one measuring the democratic deficits in member countries and especially in the Eurozone, which is highly endangered by the shortcomings of one member or another. The Eurozone is far from perfect organisation but the main reason for it is the lack of trust between member countries in their mutual permanence, conviction, and common direction. Unless this is changed it will be very difficult to fix the union’s malfunctions. Many clairvoyants are prophesying the imminent death of the Eurozone. Margaret Thatcher is quoted on the Euro destroying democracy. This is too much. Much has changed since the beginning of the crisis. A lot more needs to change so relationships between member countries become fair. For example it is not a problem if a member country holds a referendum about staying in the union. It is a problem if it is done from the position of a national issue and/or holds it away from democratic standards. It is not an issue for just one member state but affects all. Imagine a family where one spouse wants divorce but the other one has no say in the matter. This is why it is quite logical to hear the positions of the leaders of the other members and the European institutions. Some member states, like the Baltic republics, for instance, have made tremendous efforts to join the Euro. For them, it was the completion of their European integration in a larger context – geopolitically, psychologically and economically. Gambling their future in a referendum, suffering heavy democratic deficits and looking more like a lottery is irresponsible and even criminal. This holds true for countries outside the Eurozone as well. One of the fine examples of how a referendum should be held on staying in or leaving a union with a common currency was the one in Scotland. A fine example in the sense of being democratic. Otherwise, the Scotch case is different from the Eurozone as integration within the United Kingdom is incomparably closer than in the zone of the common currency. The referendum in Greece compares democratically to the vote in the Crimea last year when voters were also given just a week to decide whether to stay in the Ukraine or join Russia. The Crimean situation was worse, for there was no pluralism of opinions whatsoever, terrible censorship prevailed and voters had to choose in the presence of tanks and armed to the teeth unmarked soldiers. What is shameful in this comparison is that it is with a country outside the EU, far from the Unions standards for democracy. Greece has been a member for decades and claims to be the cradle of democracy, and Marine Le Pen’s party comes from a country with valuable contributions in shaping today’s democratic evolution. The good news is that populists are finally revealing more and more of their true faces. If the Eurozone does not pay the necessary attention to the democratic deficits Margaret Thatcher will be proven wrong. It will not be the Euro that destroys democracy but pseudo-democracy that destroys the Euro.